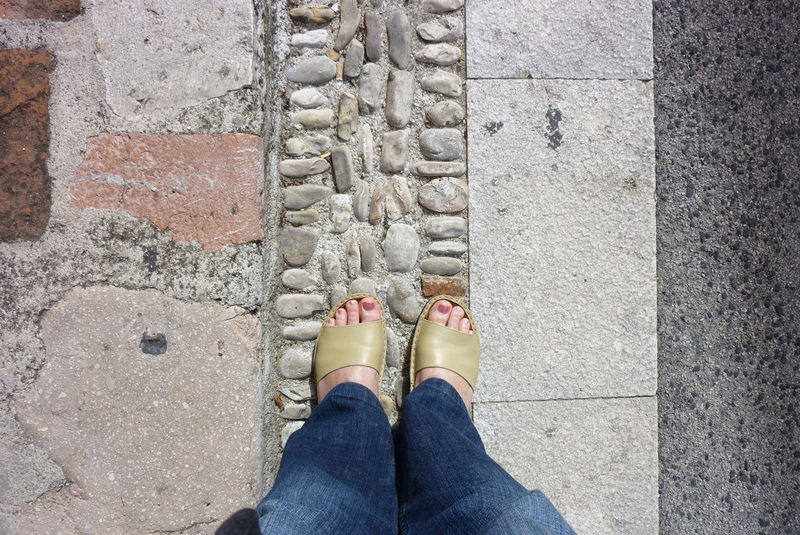 There are seven gates in the ancient walls of this cittadina (little city). And a walk around town to each of the gates takes less than 45 minutes. But there is a lot to see if you just go slowly. Chat with the nonna who get the keys to the church so you can have a look inside. Gossip with the old men sitting in the piazzas. Enjoy a panino and a coffee. 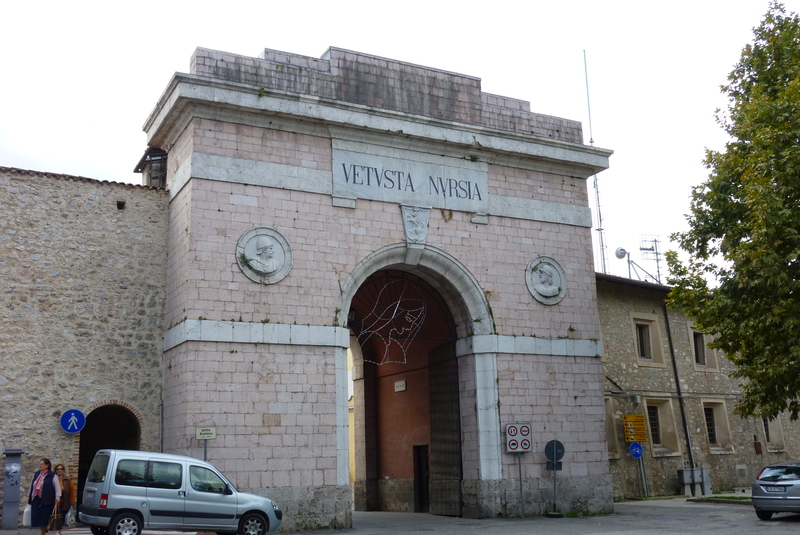 There is, however, only one public toilet in Norcia, just outside Porto Massari, and it costs 50 euro cents to use. So go easy on the coffee! 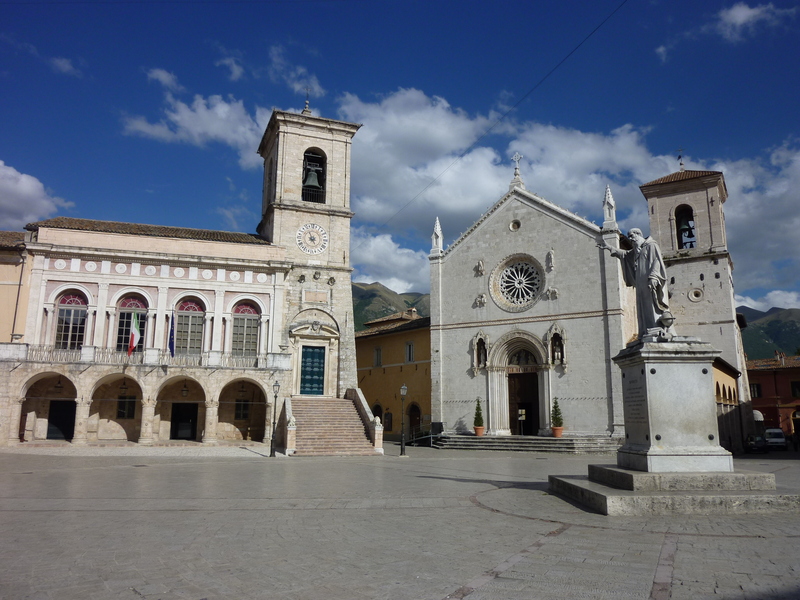 Norcia is famous for its pork products, truffles and the lentils that grown between Norcia and Castelluccio. We sampled all of these in the form of prosciutto and salami panini, cooked lentils as a side dish and a bruschetta smeared with black truffle! Outside the wall are beautifully forested and somewhat forbidding hills intermingled with pastures and planted fields. This is an out-of-the-way place with only one bus going East each day, but I recommend it heartily. 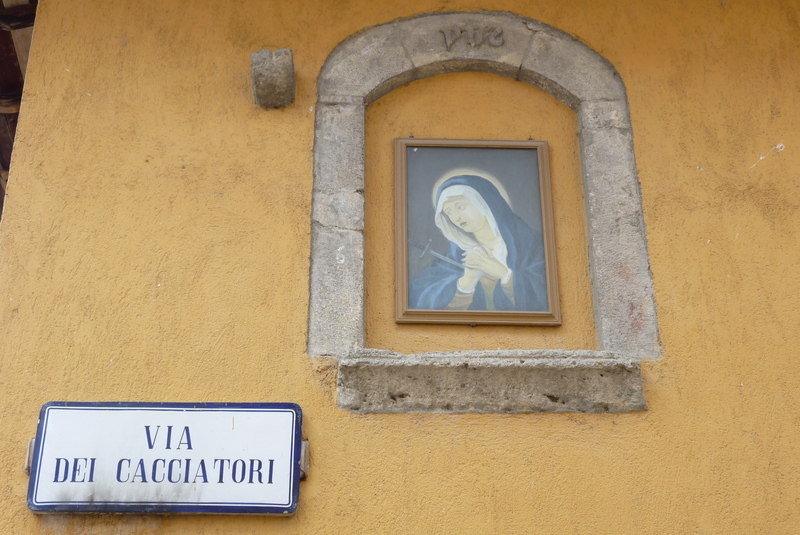 We stayed the night because of misinformation that had us miss the bus to Ascoli Piceno. 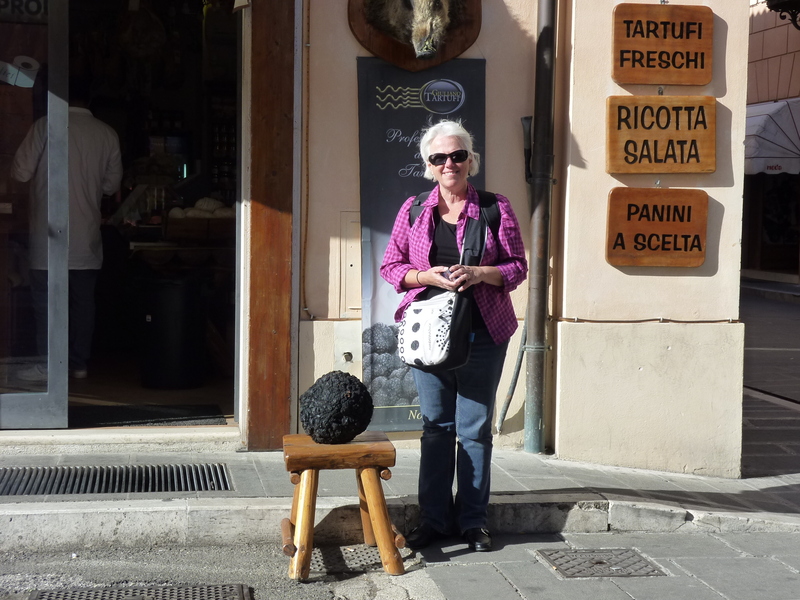 The Ristorante Albergo Benito was clean, comfy and super cheap. The restaurant does a mean pork chop for lunch too!